Viknesh Vijayenthiran September 28, 2017 Comment Now! America’s Passenger Drone is the latest startup to announce plans for an autonomous flying vehicle for personal use. 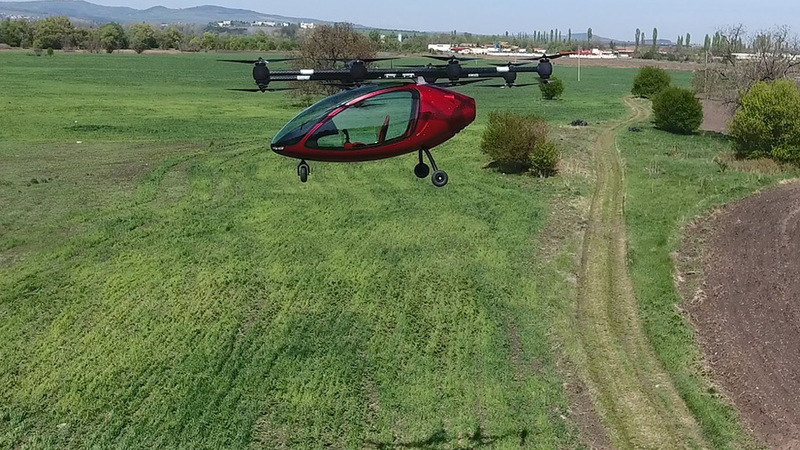 Passenger Drone’s design is still in the prototype stage but the company has already demonstrated the vehicle’s flying abilities, made possible by 16 electric rotors and lightweight carbon fiber construction. Those 16 rotors are all powered separately to ensure the vehicle can stay in the air in case there’s an issue with one of the rotors. The vehicle is slightly larger than a compact car, can fit two adults, and takes off and lands vertically. Its operation is also fully autonomous and the range will be around 20 miles. All you need to do is enter a destination via a touchscreen display and the vehicle will handle the rest. Speeds of up to 50 mph are said to be possible and there’s a joystick controller should you want manual control. The avionics, stability systems and electrical control systems have been developed specifically for the vehicle. 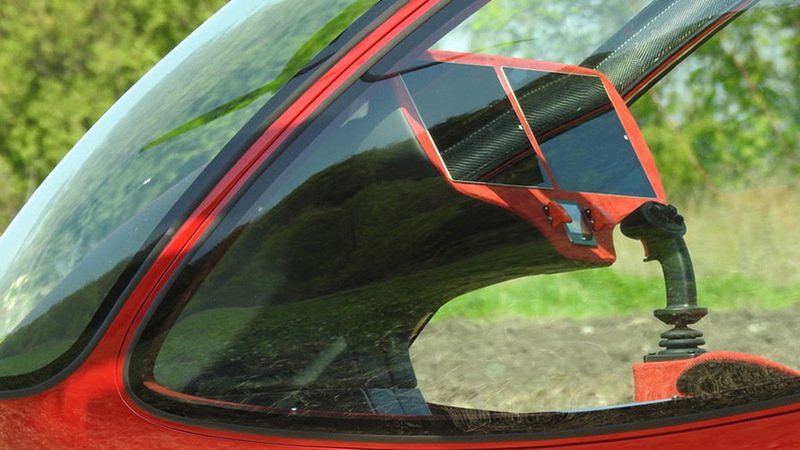 An interesting aspect is the use of optic fibers to send data between key elements of the vehicle, from the joystick controller to the central computer to the electric motors and the navigation screens. It means no wiring is required, helping to save additional weight. 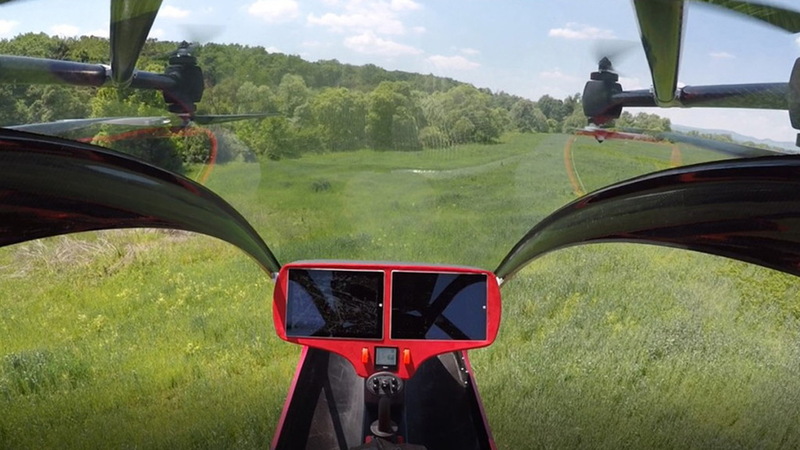 The number of startups attempting to develop an autonomous flying vehicle for personal use is growing at a rapid pace, and in recent years we’ve started to see some major companies enter the space. 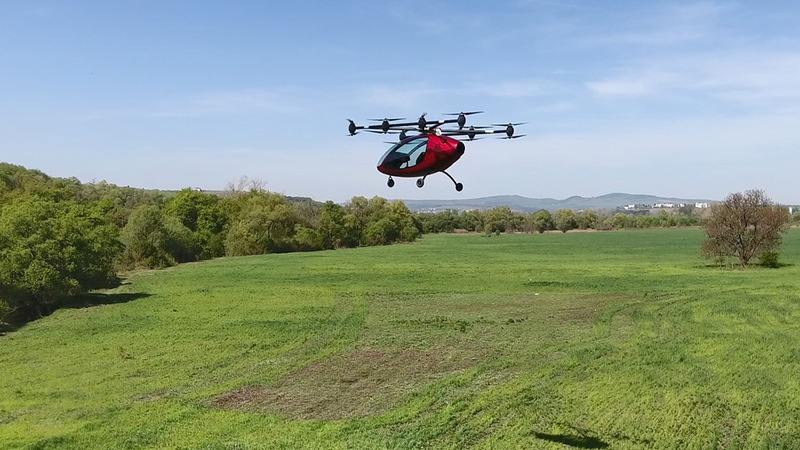 Only last month Daimler announced a multimillion-dollar investment in German startup Volocopter. 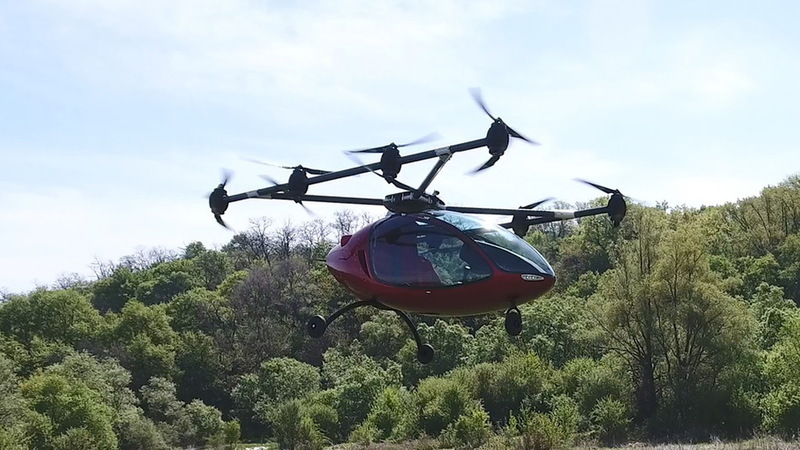 Volocopter’s design is similar to Passenger Drone’s and uses 18 rotors instead of 16. Volocopter demonstrated its design in Dubai this week and even had Dubai Crown Prince Sheikh Hamdan bin Mohammed test out its vehicle. The Sheikh’s flight lasted 5.0 minutes and reached a height of more than 600 feet. Dubai wants to be among the first cities to offer a flying taxi service.